Book Your Discovery Session | Coach Nikki B.
Click here to schedule your coaching sessions. If you would like to meet Nikki and learn more about coaching, please use the calendar below to book your free discovery session. This is not a high-pressure sales call. It’s an opportunity for us to connect and see if coaching might be right for you. If not, that is fine. There may be other resources I can recommend. 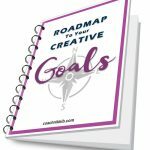 Click below for your FREE Goals Roadmap. Are You Marketing or Making Connections? Click here for client resources. Use the button below to pay for your coaching sessions.